Saber Tooth Cat Skull. Juvenile. Smilodon fatalis. Fossil replica. Model from the feline carnivore of North America. 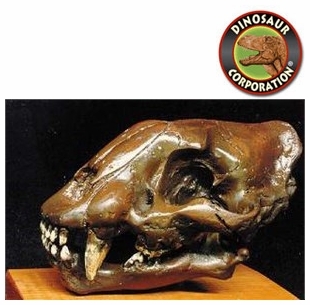 Saber Tooth Cat (Smilodon) lived during Eocene epoch to the end of the Pleistocene epoch (42 mya � 11,000 years ago).